Discover in this acoustic session recorded at the intergalactic headquarters of The Guitar Channel, the great guitar duo composed by Serge Lopez and Anouck André. 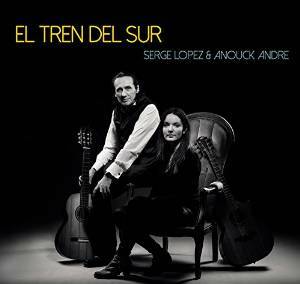 They have just released their debut album together called "El Tren Del Sur", a great guitar CD full of great music. The fully instrumental album offers a great mix with the Flamenco style coming from Serge Lopez and the Flatpicking style provided by Anouck. The result is a powerful mix with the rich compositions from Serge and two covers (from Claude Nougaro and Erik Satie). Until the next video, keep on playing the guitar ! You enjoyed this acoustic session?